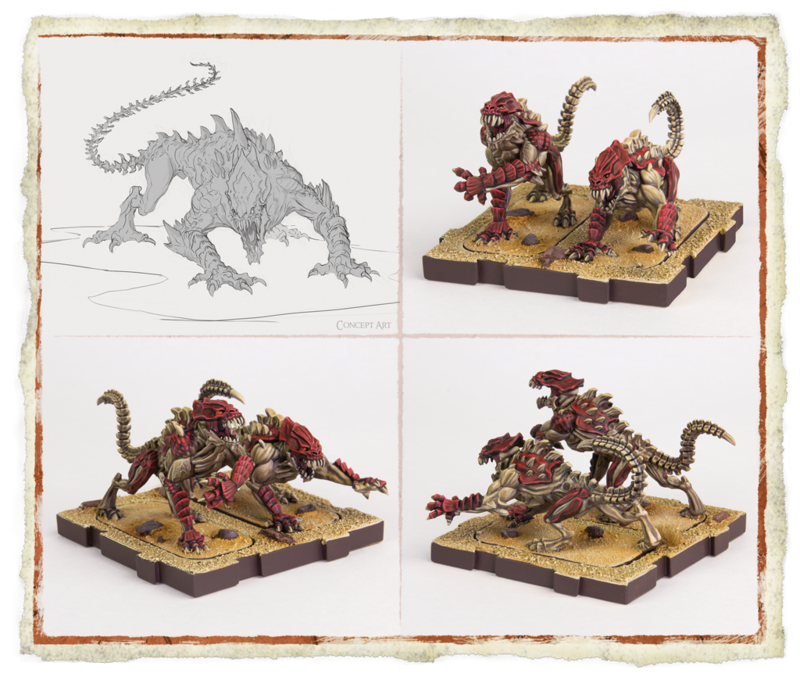 Known as the scuttling horrors, the Spined Threshers are the powerhouses of the Uthuk Y'llan army. These demonic crabs can tear down a fortified keep or wipe out entire battalions in a single strike. Among the most mobile siege units in the battle for Terrinoth, the Spined Threshers’ command tool features a white march one modifier that can be paired with any action. The maddening sight of these creatures on the battlefield terrifies even the bravest mortal warriors. After the Spined Threshers have been activated, each nearby enemy receives a panic token, keeping the enemy off-balance. 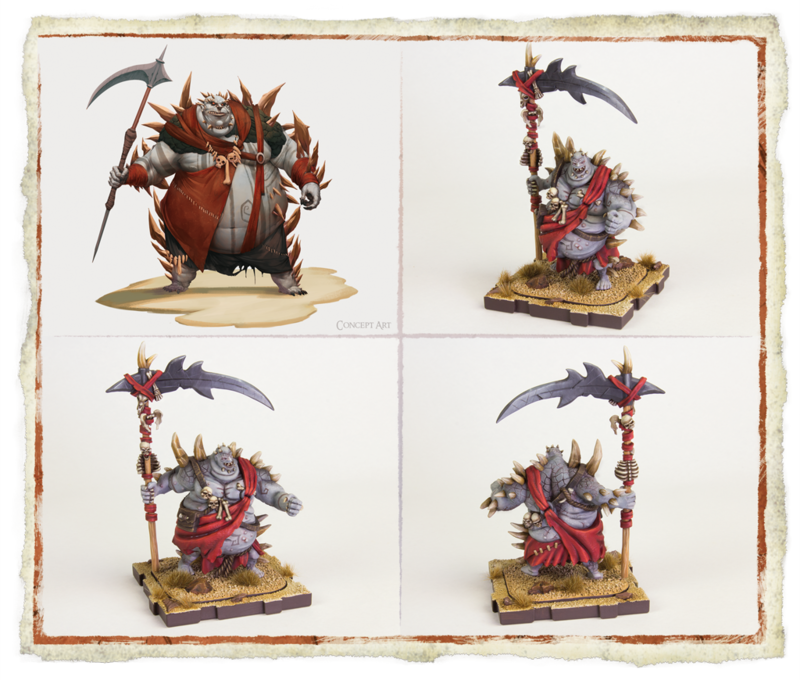 But the Spined Threshers are not the only siege unit that appears in the Uthuk Y’llan Army Expansion. The general of the Uthuk Y’llan, Ravos the Everhungry, commands the locust swarm with unmatched ruthlessness. His command tool features two red melee actions, allowing him to attack early or late in the round, as the needs of the battle demand. Ravos the Everhungry can also be included in another unit with his upgrade card, which can force a unit at range one to suffer one wound at the end of each round. What's more, after setup, each enemy unit receives a single panic token. When fighting alongside the Spined Threshers, Ravos's power can enhance the scuttling horrors’ melee ability, allowing the demon crabs to reroll a die if the defending unit has a panic token. 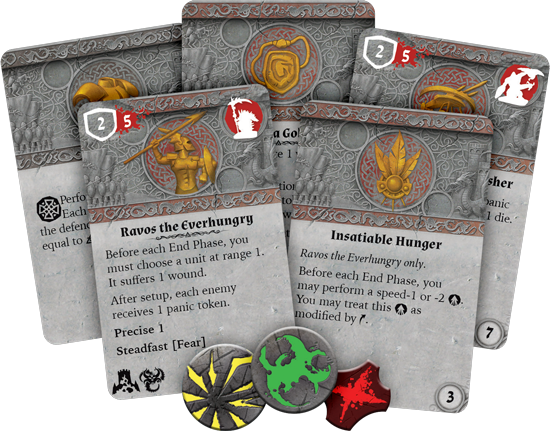 In addition to the Ynfernael creatures, this Army Expansion includes a collection of tokens, two new terrain pieces, and twelve powerful upgrade cards to bolster your forces. You can drink the blood of your enemies to increase your own dark strength with the Viscera Goblet. To use this upgrade, you'll simply place one wound token on the upgrade card during setup. 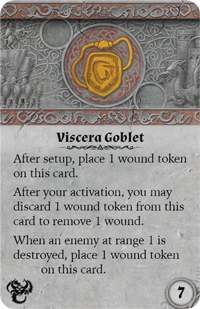 Then, after your activation, you may discard one wound token from the card to remove one wound from the attached unit! Additionally, when an enemy at range one is destroyed, you may place one wound token on the card, continually drinking the blood of the fallen throughout the battle. By feeding upon the fear of the living and the blood of the dead, nothing can stand against your demonic army. 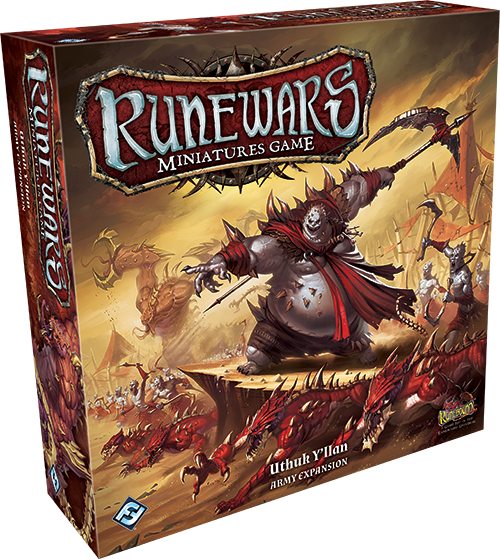 Purchase the Uthuk Y’llan Army Expansion (RWM22) at your local retailer or on the Fantasy Flight Games website today!